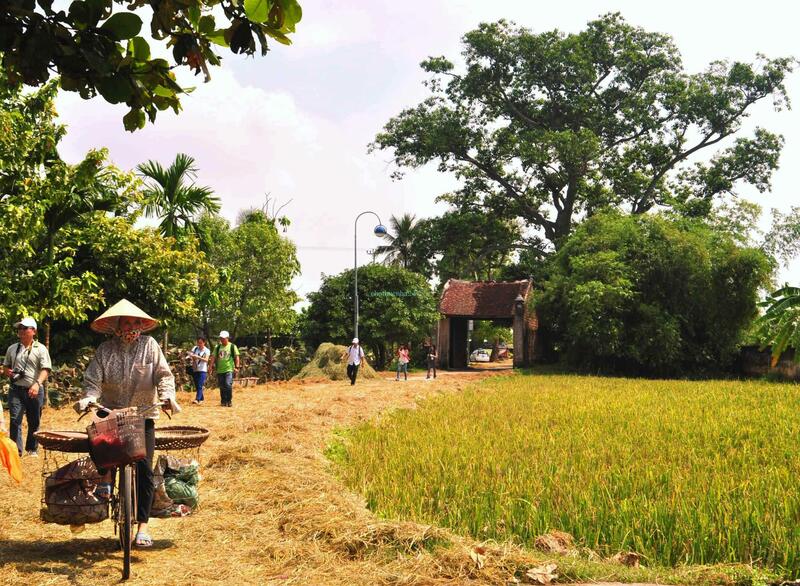 Duong Lam ancient village – beautiful old site in Ha Noi, two of Vietnam’s kings, Phung Hung (761-802) and Ngo Quyen (896-944) were born in Duong Lam, giving the village its prestige. Both men led resistance wars against northern invasion and after winning national independence, were crowned kings. After their deaths, the local people built temples in their honor. 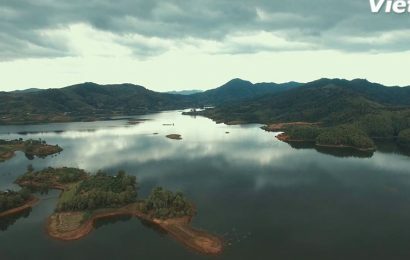 Today, Duong lam village still retains most of the basic characteristics of a village of Vietnam with port village, trees, courtyard, temples, well, water fields… The roads of Duong lam were special because they have the shape as the bones of fish. 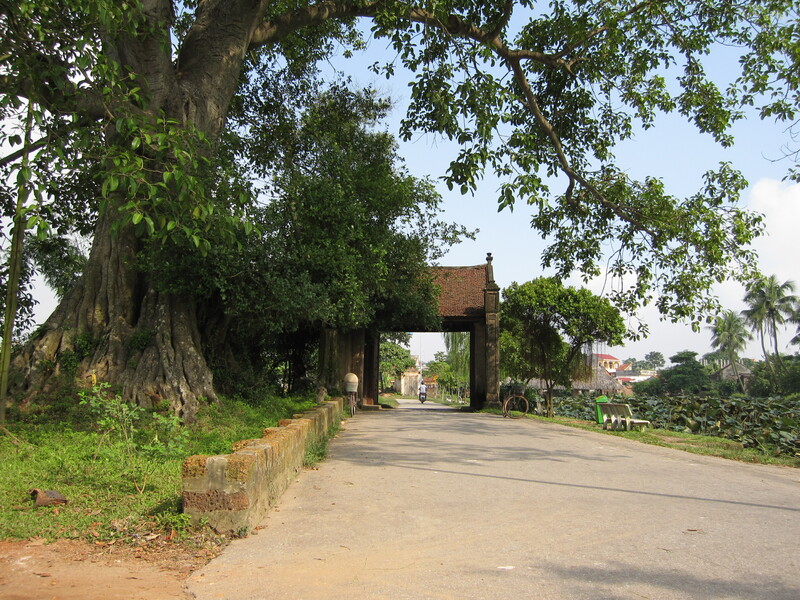 Some features are still kept in Duong Lam ancient village is the old village gate in Mong Phu village. The communal house is a worshipping place of the god – founder of the village. 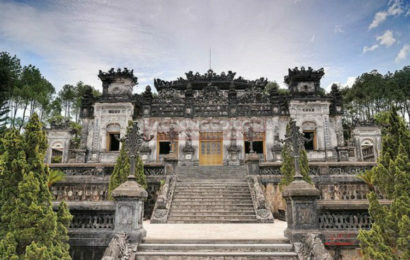 The ancient village consists of 5 villages so it has 5 communal houses. 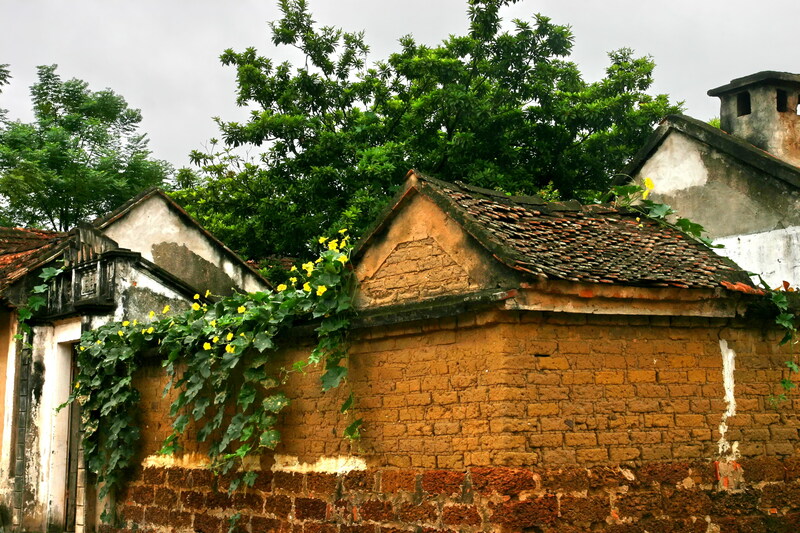 Doai Giap and Cam Lam communal houses dedicate to Phung Hung – the national hero who won the victory against invaders under Duong Dynasty; Cam Thinh communal house dedicates both the founder of the village and great mandarin Cao Phuc Dien – the hero under Le Dynasty. Dong Sang communal house worshiped the God but it was destroyed by fire and was restored by financial support from people. The god Tan Vien Son was dedicated in Mong Phu communal house. So far, Mong Phu communal house is a gathering place of the villagers for cultural activities. The communal house was made carefully with sophisticated decoration details. It is considered as a flower of unique sculptural architecture. 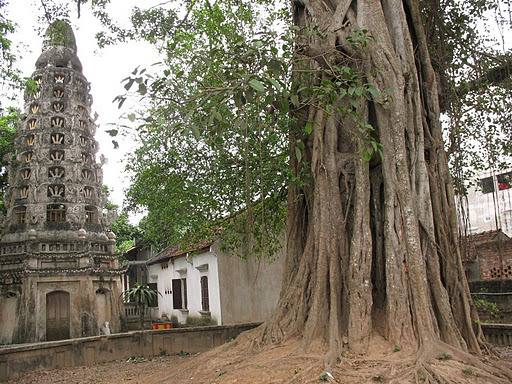 For a tangible culture relic, Duong Lam has 21 relic sites, consisting of temples, pagodas and tombs and ten of which have been classified as national and provincial relics. 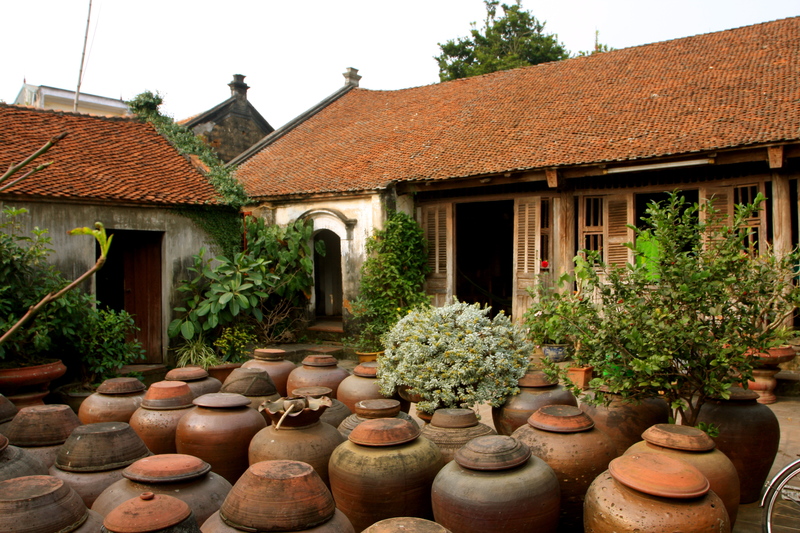 For an intangible cultural relic, Duong Lam has preserved various festivals, customs and literature on the people and land of Duong Lam through different period of time. 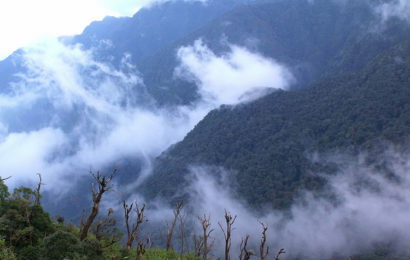 For ecological environment, Duong Lam has many beautiful scenes linked with legendary stories such as Guom Hill, Ho Gam Hill and tales on the two kings Phuong Hung and Ngo Quyen.